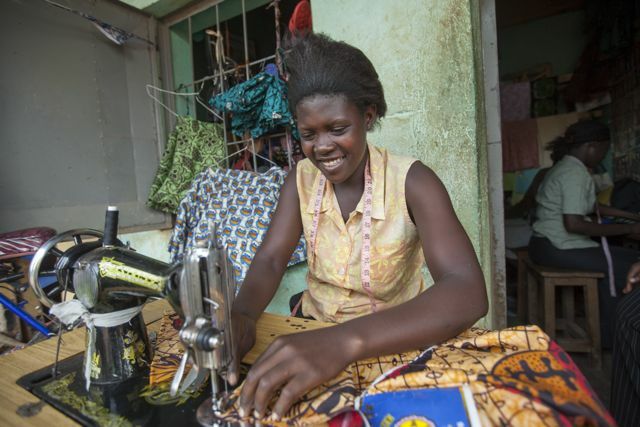 Today, with peace, access to literacy is a direct link to women’s livelihoods and empowerment. 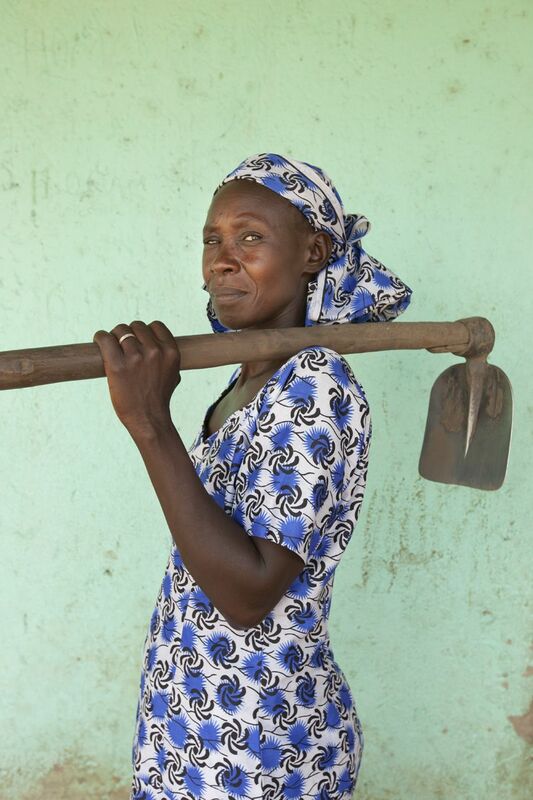 In order to become a better farmer, businesswoman, or simply a more productive member of society, women must know how to read, write and calculate. African Women Rising runs 33 Functional Adult Literacy centers, all reaching people in very remote areas of Northern Uganda. The Functional Adult Literacy (FAL) center is not only a place where literacy and numeracy is taught, but it is also a way for people to get information on community events, learn about their civic rights and responsibilities, and how they can get access to support for all their various day-to-day needs such as agricultural extension, veterinary services or information on basic health care and disease. Lessons are focused on specific skills relevant to life in the community, such as agriculture, co-operatives, marketing, health and gender issues. 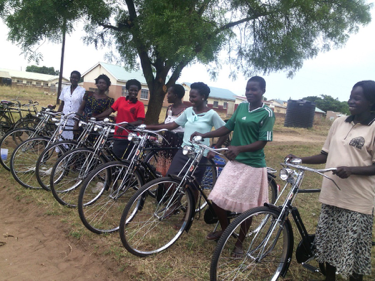 A few of our new Functional Adult Literacy instructors with their new bikes and bags. Without support for age-appropriate literacy programs, adults are kept at a level of extreme poverty. The Functional Adult Literacy program incorporates a great deal of skill-specific training, in addition to literacy and numeracy, and attempts to link the two to show learners how literacy is important and can be used for personal development in their everyday lives. We use the REFLECT methodology in our adult education programs, an innovative approach to education and social change. REFLECT is a participatory approach designed to facilitate a collaborative space for learning. Our goal with REFLECT is to create a learning environment that not only gives students the basic understanding of reading and writing but helps them become active participants in their community. Classes are open to all adults, both women, and men, who are interested in learning how to read and write. Meeting with the honorable Rwot David Onen Achana II. Paramount chief of Acholi. The king is committed to working together with us to empower women and keep girls in school. — in Gulu, Uganda. Most students come into the program at Level 1, meaning they have no educational background at all. They are taught how to read and write simple words in the native language, Luo, and how to add, subtract, and multiply. Students who graduate to Level 2 learn how to perfect reading and writing in the native language. Those who move on to Level 3 begin to learn English. Students are taught how to read and write simple words in the native language, Luo, and how to add, subtract, and multiply. Our project outcomes and long-term impact have broad ramifications and include increased soil fertility, increased crop yields, better diet, and nutritional intake increased income for participants and increased access to healthcare and schooling. 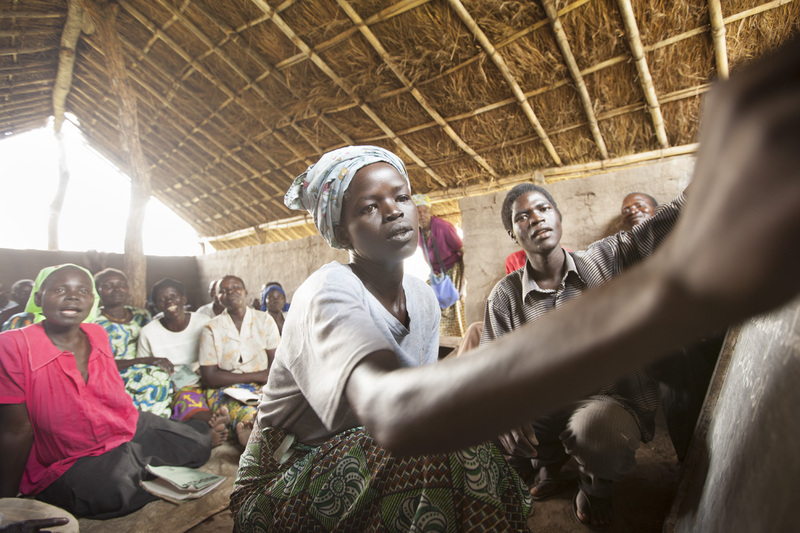 Learn more about supporting educational efforts in Uganda, and how you can help. We are thankful for your continued support and trust in us.